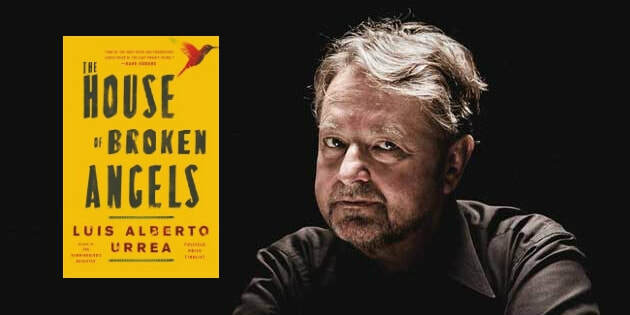 ​Once again, Luis Alberto Urrea comes back stronger than ever as he demonstrates his literary prowess through this new, explosive and heartfelt novel. The House of Broken Angels is the epic story of an imperfect, humorous, bold, lionhearted, American family—"one that happens to speak Spanish." Due to a terminal illness and with only a few weeks to live, the highly esteemed patriarch Miguel Angel de La Cruz, better known to his friends and family as Big Angel, has refused to part from this world solemnly or crestfallen. On the contrary, he has decided to reunite his entire family for one last, greater-than-life birthday party worthy of the patriarch himself. But before his celebration takes place, his mother passes away, making it two farewells instead of one. Family members from all parts of the country and from all walks of life have arrived in San Diego to celebrate the lives of Big Angel and his mother, as they recount both ordinary and legendary family anecdotes. The House of Broken Angels is a literary and cultural masterpiece that reveals the intimate relationship between Mexican culture and the afterlife. A magical relationship of reverence, remembrance and resilience. With multiple layers of stories and wide-ranging topics filled with unabridged humor, tenderness and family devotion, Luis Alberto Urrea creates a fascinating novel that reminds us of our own families—those people who we've shared some of the best and worst times of our lives and whose unbreakable bonds we'll carry till the day we cease to exist. Luis Alberto Urrea (Tijuana, Mexico) is a Pulitzer Prize Finalist for his landmark work of nonfiction The Devil's Highway. He is also the bestselling author of the novels The Hummingbird's Daughter, Into the Beautiful North, and Queen of America, as well as the story collections The Water Museum, a PEN/Faulkner Award finalist. He has won the Lannan Literary Award, an Edgar Award, and a 2017 American Academy of Arts and Letters Award in Literature, among many other honors. 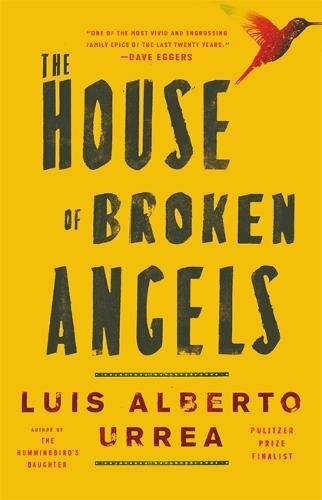 ​The House of Broken Angels is a publication by Little, Brown and Company and can be pre-ordered through Amazon. Click here to pre-order.